Open Doors offers a unique way for you to connect with your persecuted family all around the world. Wherever Christians are tortured, harassed, punished or murdered for their faith, we are campaigning, praying, providing practical support and smuggling hope. And you can be part of that adventure. For every £10 given a you will receive a Secret Devotional and a persecuted believer in North Korea will receive the gift of a Bible. Use 30 Days of Prayer and join with Christians around the world in praying for the Muslim world during Ramadan (6th May - 3rd June). 30 Days of Prayer contains useful facts and information about Muslim practices and beliefs, stories of how God is at work in the lives of Muslims today and a daily focus on different countries and people groups across the Muslim world. 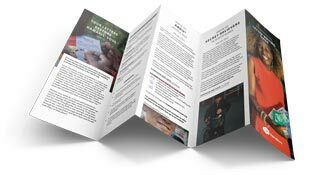 Live like a North Korean is a free Lent resource packed with daily prayers and reflections for individuals, to connect you with your persecuted North Korean family. What makes this different is that it also challenges you to live like a North Korean. You might have to spend a day without heating, or eating. You might bury your Bible, or get up early to meet in secret with other believers. These weekly actions offer a window into the world of North Korean Christians. One of the greatest gifts you can give a persecuted Christian is the knowledge that they're not alone. Over the years, thousands of Open Doors supporters have brought hope to persecuted Christians through letter-writing campaigns. A letter from you can bring hope and ecncouragement to persecuted Christians facing darkness and despair. Our bi-monthly magazine offers a compelling mix of news, in-depth reports and inspiring stories from our persecuted family. It's a unique, authoritative insight into the world of the persecuted church. Open Doors has launched a global, seven-year campaign to mobilise Christians to bring hope to the Middle East. 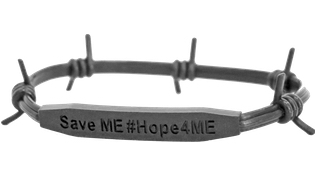 This free wristband can serve as a reminder to pray for the millions of people from Iraq and Syria who have been forced to flee their homes, and for the leaders who can act to provide them with a better future. Over 1,100 volunteers throughout the UK and Ireland are currently helping us in all sorts of ways, from stuffing envelopes to speaking in churches. Could you join them?